With the lengthening days of sunshine, blooming tree-lined streets, and rapidly filling parks, bike trails and sidewalks, we are truly experiencing the renewal of spring in Sacramento. Our region is ripe with both neighborhood farmers markets and the excitement of new growth and opportunities here. The anticipation is infectious and we are seeing a rising tide of regional pride, optimism and action that hasn’t been felt in a long while. Trapeze is proud to be involved and partnering on many of these fronts and projects. As an original member of the Sacramento Regional Brandathon winning team for the “In Season” concept, to producing multiple Sacramento Region brand videos, to capturing the regional pride in both non-profit and for-profit projects and organizations around our region, it is an exciting time to be recognized for our talents and to do such important work for our clients. 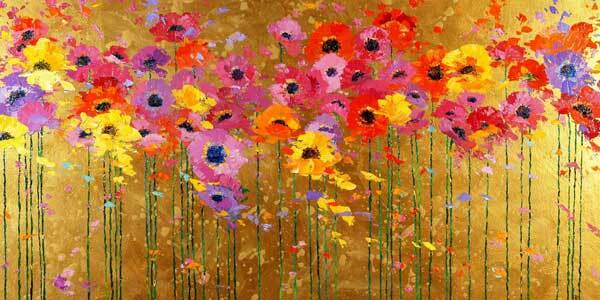 And because spring is a great time to refresh and renew, we welcome you to our new website. We have new sample reels, recent work, and are featuring a fresh look. Thanks for all of the great partnerships in both business and relationships. We look forward to growing with you. It’s awfully good to be right here in Sacramento. Gratitude is something we at Trapeze try to practice every day. Our company was built on the opportunity to follow our passions and do what we love, so certainly 15 years later, thankfulness runs deep. We are grateful for the opportunity to work in a flexible, comfortable environment, and thankful that we can create, inspire and collaborate on great projects alongside so many special people along the way. A recent New York Times article on gratitude quoted a psychologist as describing it as “the emotion of friendship.” We believe that to be true and want to take this time—during the month of thankfulness—to express our gratitude for those who make everything at Trapeze possible. To our clients, our partners and our employees, thank you. Let’s continue to do great things. There’s a building sense of energy and excitement in Sacramento, bubbling just below the surface. Things are happening here, movement is occurring, much to the credit of the many “doers” in our community who want great things for this City and region. These last few months and weeks have brought a groundbreaking downtown for a new arena and entertainment center, the River Cats recently signed a new affiliation with the San Francisco Giants, and the Sacramento Republic FC Soccer Team is in the midst of an all-out pitch to become the next MLS expansion city. But not just relative to sports, great things are happening in the business community as well. The recent grass-roots efforts of the “Brandathon” campaign, pulling professionals, volunteers and community members that love this region together to create a new brand “Sacramento- In Season” is remarkable. The pride and love for this community in its many efforts on all fronts is contagious. It’s hard not to be moved by this month’s “Farm to Fork” month celebrating our rich, local agriculture, world-class restaurants and chefs, and other events such as this that bring us together and remind us of how fortunate we are. And, the movements to improve our community in other ways in working with the homeless, re-developing our downtown/urban areas, supporting local businesses, and working on attracting new ones are all examples of what can be achieved when we work together. We’ve said it before, and we will say it again. Trapeze is proud to be a part of Sacramento and honored to be partners with so many of you in this rising movement and moment. Getting things done…It’s Sacramento In Season. There’s something big happening this week for advertising and broadcast commercial fans. Oh, and perhaps, sports fans too. It’s the 2014 World Cup, and it kicks off on Thursday, June 12th with high-end, adrenaline-based commercials that will find their way to TV screens around the world. According to Bloomberg Businessweek, Walt Disney Co. who owns ESPN, ESPN2 and ABC will air all 64 matches. That provides for a huge amount of advertising space, all of which is nearly sold out. Initial estimates show that global companies are leveling the playing field by upping their web versus broadcast spending. Current numbers per Business Times have companies such as Nike, Adidas and the like, spending $68.5 billion on TV compared to $56 billion online, providing an impressive jump in the digital dollars. What’s also important to note is that despite the online placement, production value remains high. Because of the millions of anticipated number of eyeballs and clicks on their spots, videos and mentions, it is imperative that the brands be seen at their best. Sneak peeks at the teaser ads, trailers and videos hint at 4k, high-end motion graphics and production that we haven’t seen to date. This attention to detail and commitment to quality allows companies the flexibility to place these projects wherever makes sense for their advertising plan. That, certainly, can be a good strategy and goal for all advertisers wanting more for their production dollars spent. As a video production and post-production facility, we have had the opportunity over the years to travel and work in a variety of settings. And, in the 14 years Trapeze has been in business, we have been happy to call Sacramento our home. 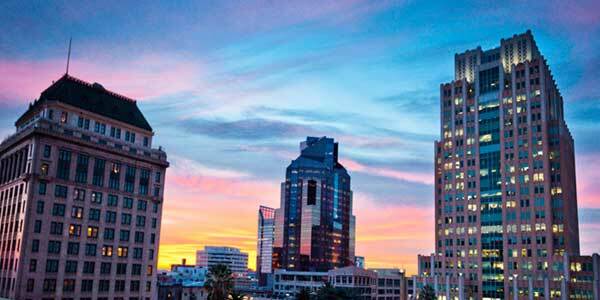 Located in the heart of this region, in midtown Sacramento, it has allowed us to experience all that this city has to offer and be in close proximity to our clients. Reason 1: The Talent. Seriously, we have so many creative, talented minds here. From crew and actors, to art directors and marketing gurus, we have the amazing privilege to work with high-end, down-to-earth talent without the attitude you’ll find in other area codes. Reason 2: The Climate: No rescheduling of shoot dates due to rain, wind or snow—rarely. Maybe we deal with the heat from time to time, but when you have 269 days of sunshine on average during the year (we’ve checked our facts), it provides a good amount of beautiful work days. 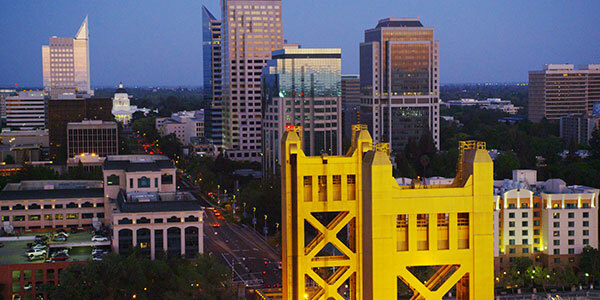 Reason 3: The Geography: We know, we know…Sacramento is in the middle of everything. But seriously, we recently shot scenes at Lake Tahoe, wineries, farmland and the city in a matter of two days. You’d have to schedule a week in most other places to cover that range of land and geography. Reason 4: Partnering Businesses: Over the years, we have found fellow Sacramento Business owners to be some of the most generous, supportive and helpful people there are. From offering up their businesses as production locations to feeding crews with little notice, their willingness to help is unmatched. And, we’ve had the pleasure of documenting so many great things businesses, their employees and volunteers do every day. We have an enormous network of super people doing super things in Sacramento. Reason 5: Our Employees: Much of our success is due to our employees and their commitment to our vision and company. Sacramento provides a balanced foundation for our employees and their families to grow and experience things that, we hope, complement their work life. So, thank you Sacramento. We couldn’t be happier than where we are. Spring marks a time that is often noted with organizing and renewal, so we thought it a good time to do both here on our Trapeze Website. The first feature you’ll note is this blog—The Trapeze Post—which is now replacing our e-newsletters that we’ve been creating over the years. We thought it would be a great way to be more timely with our outreach and ideas, as well as help de-clutter your mailbox. You’ll also note a new page on our site where you can easily find all of the videos in our Trapeze Friday Favorites series. These featurettes have become popular with clients, vendors and friends, and we are excited to do more to feature and bring attention to those people, businesses and organizations in our community who are doing great things and merit a little recognition. Please share and pass along, as they are all well-deserving. We’re also happy to introduce our newest team member, Lindsey Griffith, who you can read about on our “Team” page. Lindsey has joined us as our new Post-Production Coordinator/Administrative Assistant and will be a huge help to us and our clients. Don’t be shy, drop her an email or call to say hello. And, as always, don’t forget to check back on our site often to read our new blog posts, and see new work samples and featured projects that we are working on. We can’t post everything we do, but will certainly try to share samples of the fun and talented team here at Trapeze on our site, Facebook , Twitter, Instagram and YouTube Pages.